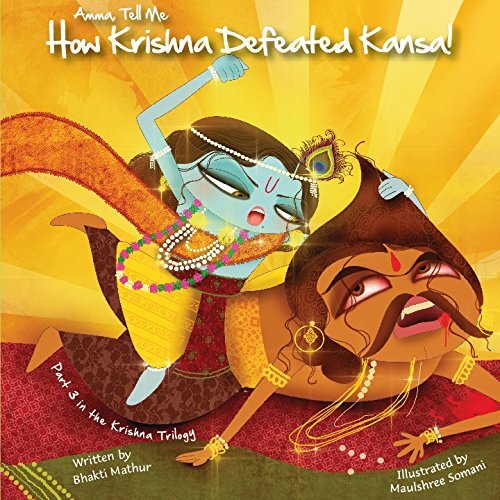 Bhakti Mathur Amma Tell Me How Krishna Defeated Kansa! As a shield from an angry god's thunderstorm. Bhakti Mathur grew up in Delhi, India. She lives in Hong Kong, a city that she absolutely adores, with her husband, her two sons, Shiv and Veer, and their beloved golden Labrador, Frodo. She is a banker by profession and currently works for a major Asian Bank.Bhakti’s love for books started from a young age. Her mother was a librarian and as a child she landed up spending many hours in the library―books proved to be great and inexpensive baby sitters! The idea for the 'Amma, Tell Me' series of books came as a way to introduce her sons to Indian mythology and festivals.When not writing, working or running after her boys, she is happiest curled up with a book and a hot cup of chai. 1. Amma Tell Me How Krishna Defeated Kansa! 4. Amma Tell Me How Krishna Defeated Kansa! 5. Amma Tell Me How Krishna Defeated Kansa! 6. Amma Tell Me How Krishna Defeated Kansa! 7. Amma Tell Me How Krishna Defeated Kansa! 8. Amma Tell Me How Krishna Defeated Kansa! 9. Amma Tell Me How Krishna Defeated Kansa! 10. 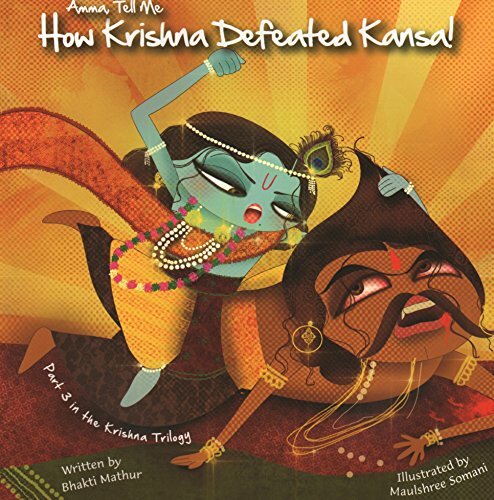 Amma Tell Me How Krishna Defeated Kansa!